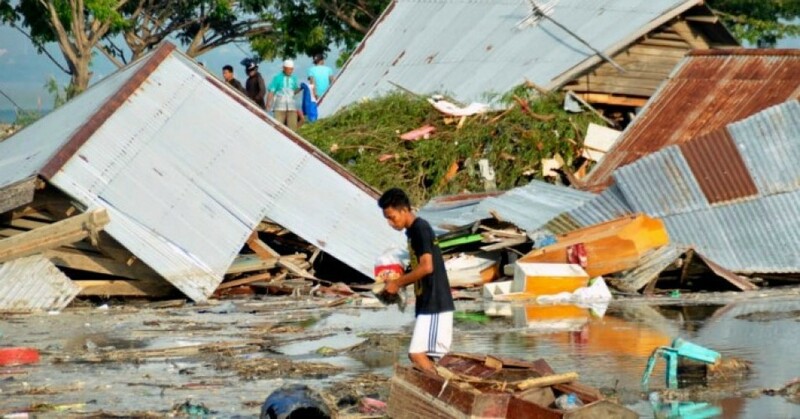 Nearly 400 people were killed and thousands of homes and buildings were destroyed Friday night after a catastrophic earthquake and tsunami struck the Indonesian island of Sulawesi. More than 384 people have died in the city of Palu alone, one of the two cities worst-hit by the tsunami, according to Sutopo Purwo Nugroho, spokesman for Indonesia’s National Disaster Management Agency. Rescue officials were struggling Saturday afternoon to reach the nearby city of Donggala, home to 300,000 people, and the surrounding areas after a large bridge collapsed. Authorities fear that the death toll, which was at 48 several hours earlier, could continue to rise quickly. The estimated 10-foot tsunami that slammed Sulawesi Friday night was triggered by a 7.5 magnitude earthquake that hit the island just hours before. More than 500 people are reportedly injured, dozens more are missing, and the island is currently without electricity.